With 10 weeks until Christmas, many of us are starting to think about what to get people this holiday season; I’ve already got a few things earmarked for friends and family. Niven & Joshua, my favourite online grooming destination, have asked me to curate the ultimate men’s skin care collection with every item if skin care you would want in a solid grooming regime, selecting amongst their huge library of prestige and luxury beauty and grooming lines. A facial wash that’s both deeply cleansing and effectively calming. Skin is left feeling clean and fresh but not gagging for moisture. My number one skin tip has always been to exfoliate the skin twice a day with gentle chemical exfoliators. This alcohol-free, toning astringent works perfectly to clarify the skin when swept over the face using a cotton pad, making sure not to repeat the same area twice and avoiding the eyes. Gentle but highly effective facial scrub to loosen all those spot causing dead skin cells and leave skin fresh and energised. Use two to three times a week before cleansing. Brighten, tighten and youthify – ok that last one isn’t a real word but still. Vitamin C is an excellent skin brightener as throughout the day it sloughs away surface dead skin cells that can and do build up. Cucumber and Arnica also get to work to reduce any irritation (possible as a result of shaving) and leave skin smooth and cared for. Apply after cleansing/toning and before your moisturiser. Feels rich but sinks into the oiliest of skin types without a trace. Leaves you hydrated all day and one of my absolute favourite moisturisers. Great for sensitive under-eye areas; this soothing eye cream will soothe the skin and help to smooth and brighten the look of stress and exhaustion. Sick of greasy and clogging after shave lotions? This beauty from Zirh calms the skin with targeted and effective ingredients that really does leave the skin calm, and lightly moisturised. I designed the collection to cater for pretty much any skin type but I’d push it more for normal / combination / oily. It’s great for those who really want to take a good stab at restoring their skin or those wary of taking the plunge into the prestige skin care market and not knowing where to start. How much is this fabulous collection? 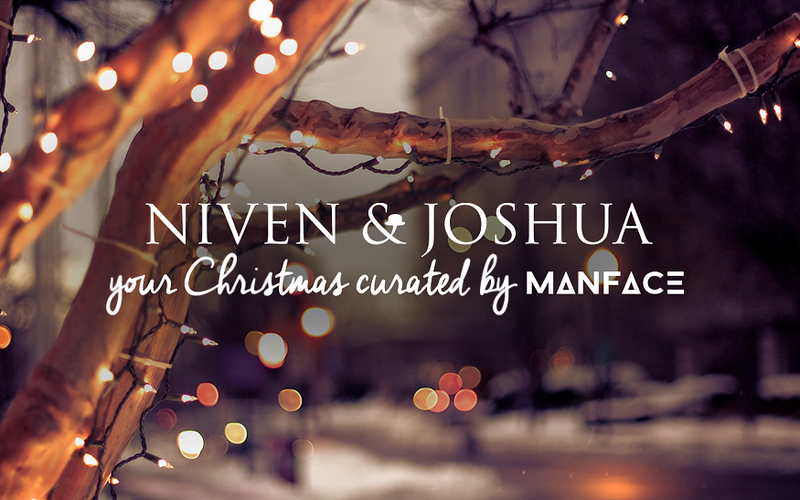 The collection has an RRP of £179 but is available here from Niven & Joshua at just £149. If you consider you’re getting absolutely everything you’d ever need in a skin care routine, in full sizes, with my favourite premium products; it’s a hell of a bargain. The set is actually out of stock at the moment but if you place your order now, I believe it’ll be back in stock ASAP! This article first appeared on MANFACE written by Thom Watson. It was published on Monday 20th October 2014 and was last updated on Monday 3rd April 2017 at 1:49pm. It's categorised under Christmas 2014, Editorials where you'll find more related content.